This is a £0 loan, your monthly repayments will be £0 for 0 months. The total amount payable is £0. The cost for credit (interest and charges) is £0. APR 0% representative. 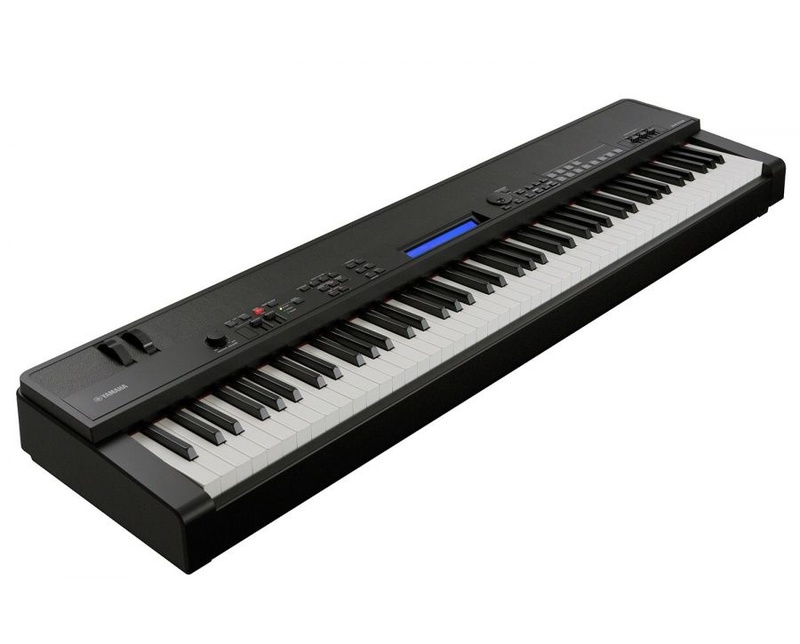 The CP40 STAGE features amazingly realistic piano sounds and touch in a incredibly compact package. The CP40 STAGE features a selection of voices from the CFIIIS of Yamaha's Premium hand-crafted grand piano, vintage EPs with VCM effects, and a variety of sounds based on our flagship MOTIF synth have been matched with an 88-note Graded Hammer action to provide the amazingly realistic piano touch and response. The CP40 STAGE features a selection of voices from the CFIIIS of our Premium hand-crafted grand piano, vintage EPs with VCM effects, and a variety of sounds based on our flagship MOTIF synth have been matched with an 88-note Graded Hammer action to provide the amazingly realistic piano touch and response. As the largest acoustic piano manufacturer in the world we were able to hand select from our vast collection of hand-crafted grand pianos to create the sounds heard in the CP40 STAGE. The CP STAGE Series features an impressive selection of vintage electric pianos from different eras, enhanced by Yamaha's renowned Virtual Circuitry Modeling technology, which allows the reproduction of the classic stomp box effects that were such an integral part of their sound. seventies. The Rd I reproduces the tone achieved using tines and hammers. From a quiet ballad or jazz standard to countless rock classics, the Rd I will take you back to this inspiring musical era the moment you begin to play. Perfectly emulating the distinctive hammer-and-resonator sound of another star of the sixties and seventies, the Wr voices in the CP STAGE offer everything from the thick, powerful tone of the earlier models of these renowned electric pianos to the brighter clarity that later efforts achieved. These voices accurately reproduce the playing characteristics of the original instruments, so that a light touch will give a delicate tone, while playing with more force will result in a thicker, uniquely distorted sound. A simple and intuitive interface gives you instant access to all the controls that you need. Category Select lets you call up the sounds you need quickly and easily-you can even store your favorite sounds for each category. In addition to all the great piano voices, a variety of bass, clavinet, organ, strings, and pad sounds based on the sounds in our flagship MOTIF synthesizer round out the voice library, so you're ready for any musical situation. One touch is all it takes to layer and split sounds. The large lighted buttons make it easy to split and layer sounds even on the darkest stages, allowing you to switch from a full piano, to a piano voice layered with strings, or piano with a split bass sound. The Main Solo function lets you go back to playing piano across the entire keyboard with the touch of a button. CP STAGE combines portability with elegant style in a professional package. CP STAGE has a slim design that makes it incredibly light and easy to carry (CP40 STAGE: 16.3kg (36 lbs)). Performances	User	128 * Performances 65 to 128 are identical copies of Performances 1 to 64.